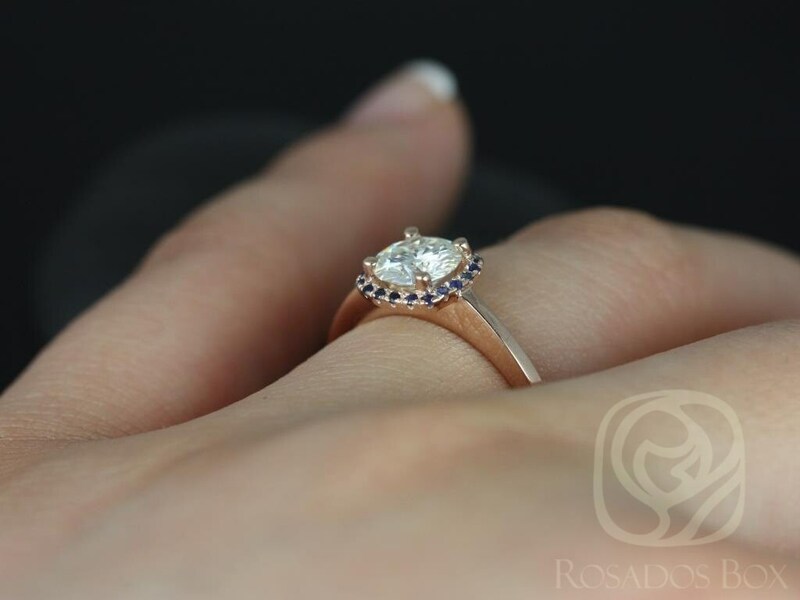 This Bella moissanite blue sapphire halo ring is simply a classic unique ring . 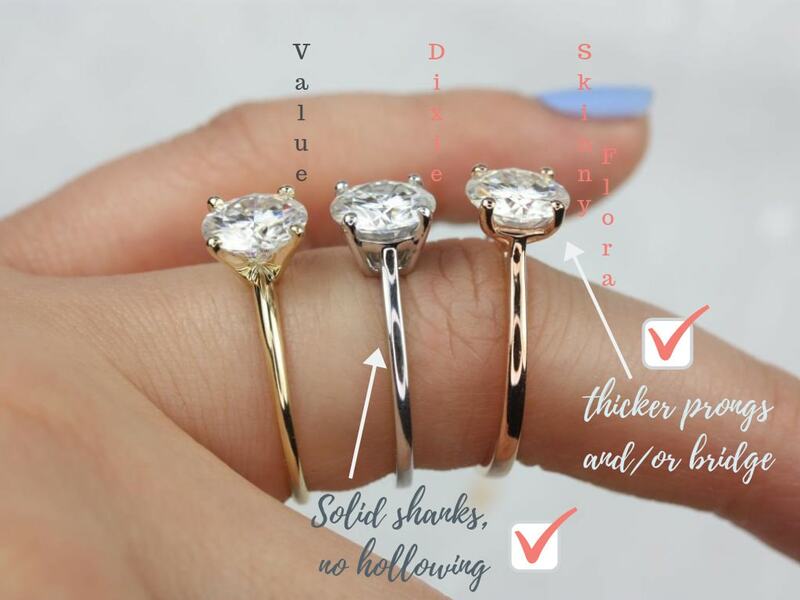 Whether stacked as a wedding set or worn solo, this ring design is perfect for all ladies! 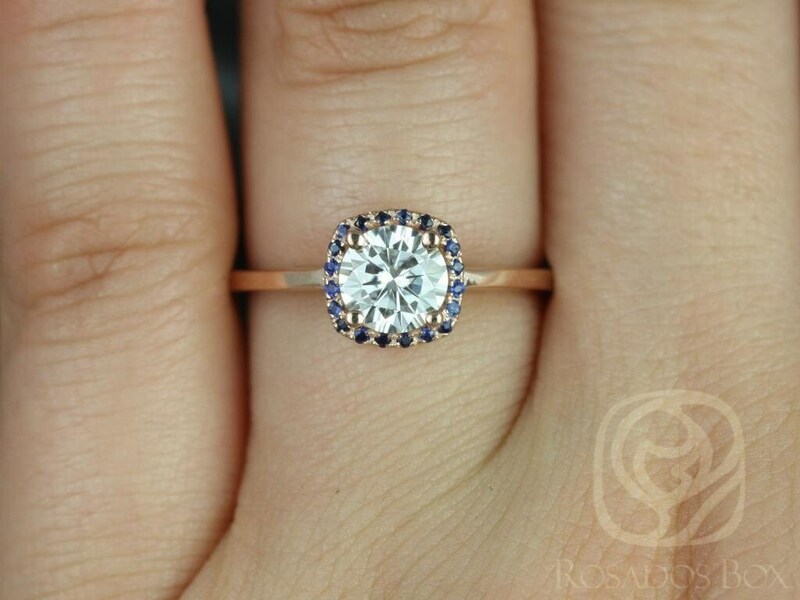 After tireless searching and trying on, my fiance and I ordered this as my engagement ring. I love it! 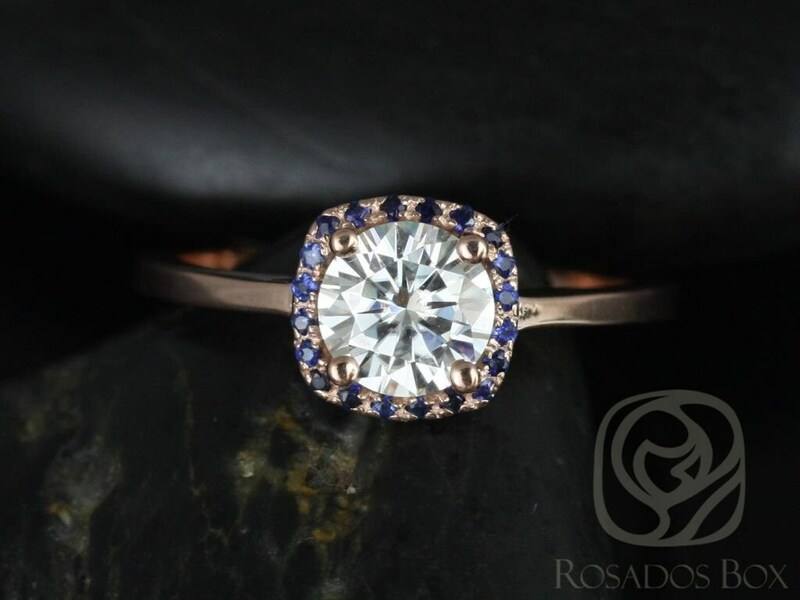 It is so sparkly and the design is very timeless. 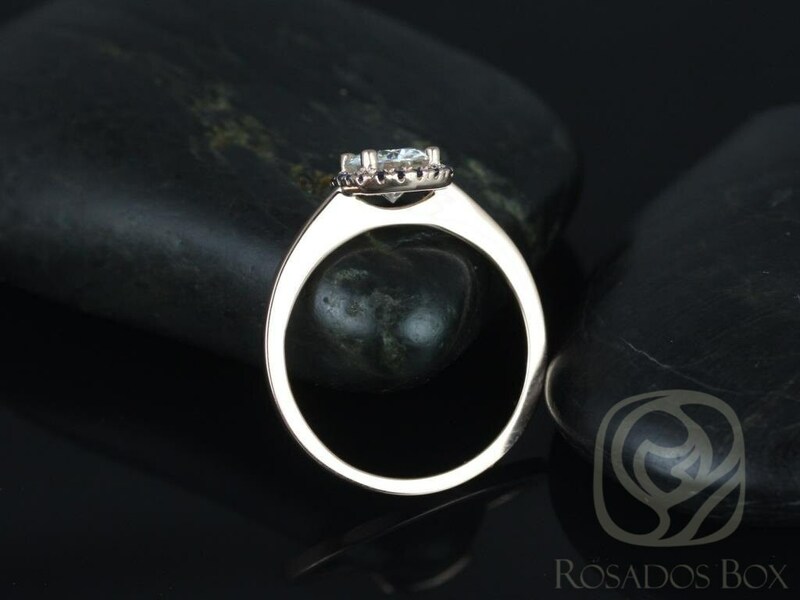 The quality of the ring is very nice and the price was perfect for us. 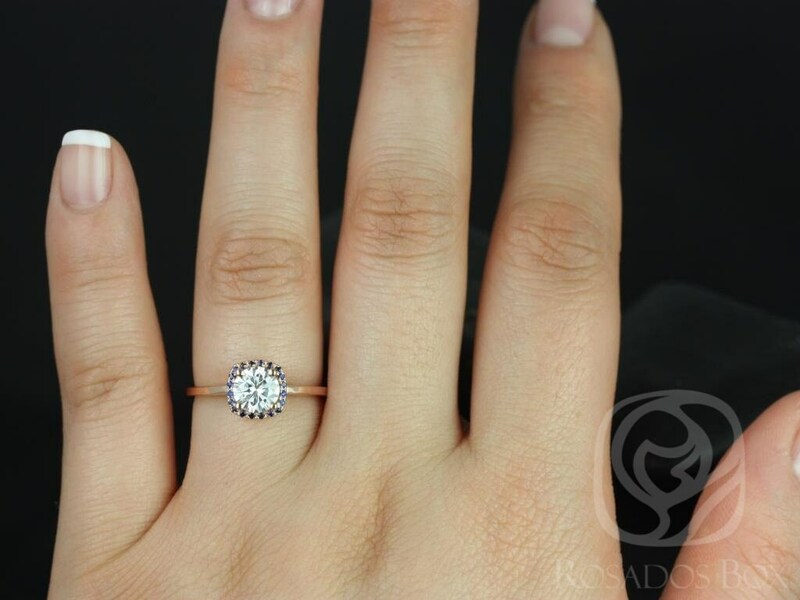 The sapphire halo is slightly smaller than appears in the photo, but I love the dainty look. The band is comfortable and the sizing was perfect. I can't wait to receive the beautiful bead and eye band I have on order. I am very pleased with my purchase and the whole buying experience was really great. 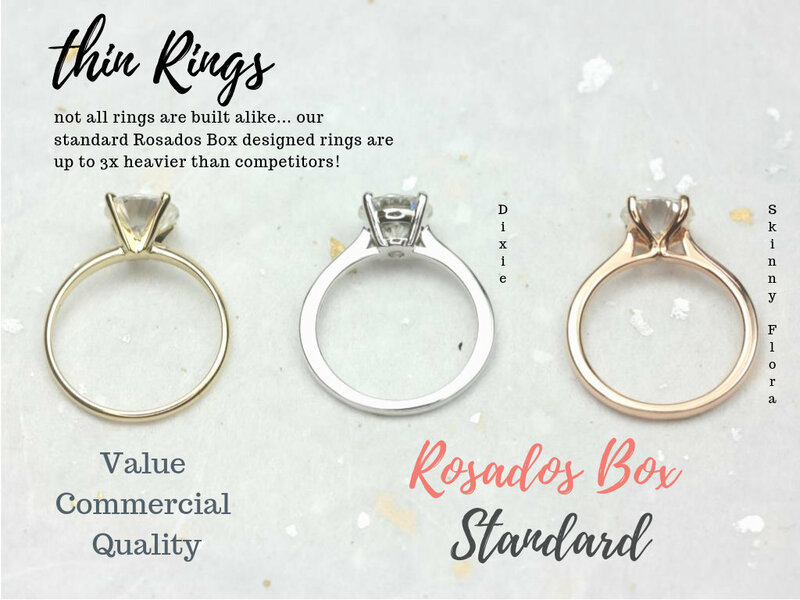 The staff at Rosados Box was very responsive and accommodating, great customer service. I really appreciate that!